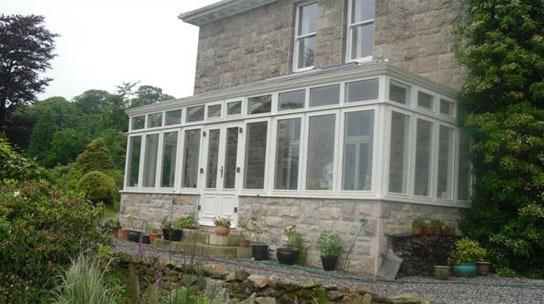 Broomhill House ~ Harford, Devon. 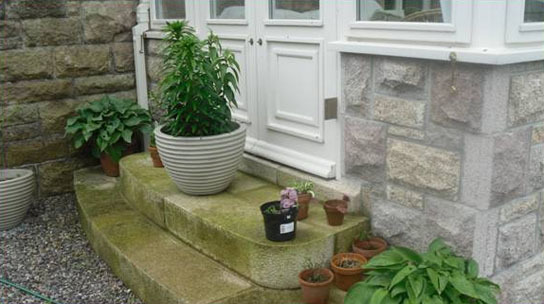 Broomhill House is near the small civil parish of Harford close to Ivybridge in Devon and is perched on the edge of the Dartmoor National Park. 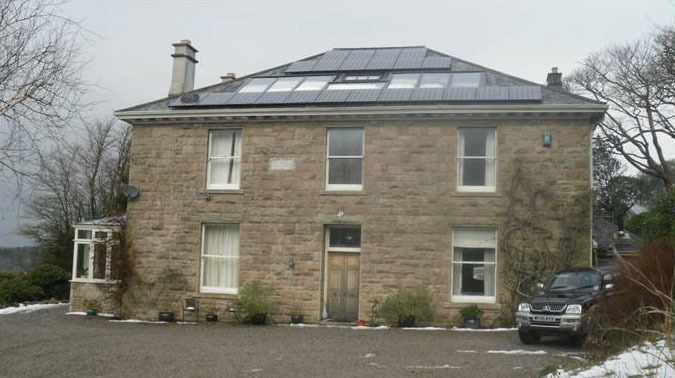 It is a period house built in 1900. 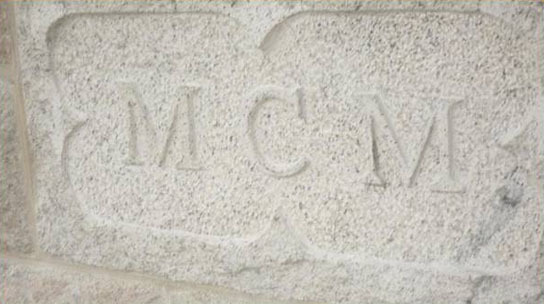 It was originally built for a captain in the Light Infantry. 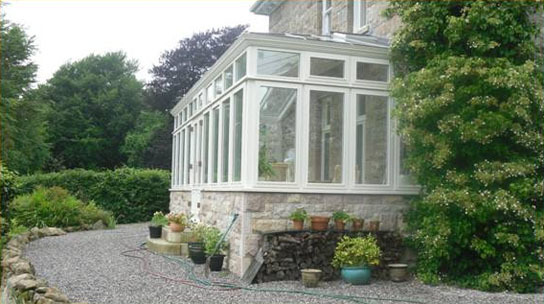 The present owners had asked us to construct a conservatory with stonework to match as close as possible to the original granite as that of the house. 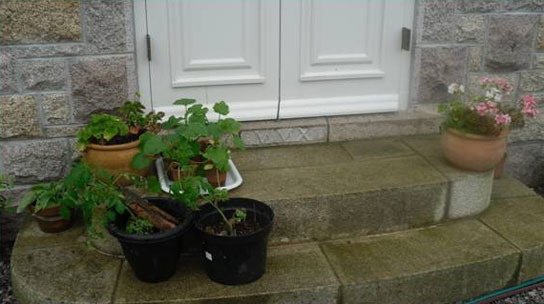 Once we had the conservatory up to floor level we had to lower the sills of two window openings and make them into doorways as these would eventually lead from inside the house into the new conservatory once it was built. 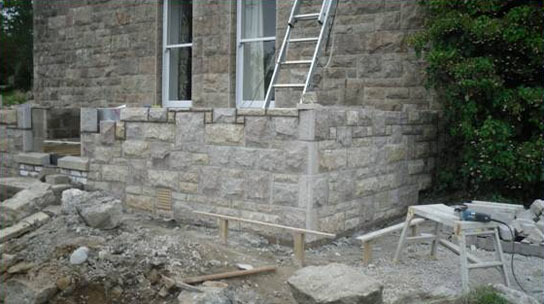 We used the existing stone that came out of these openings to make good the stonework and we re-dressed that stone for quoins to match into what was there already. 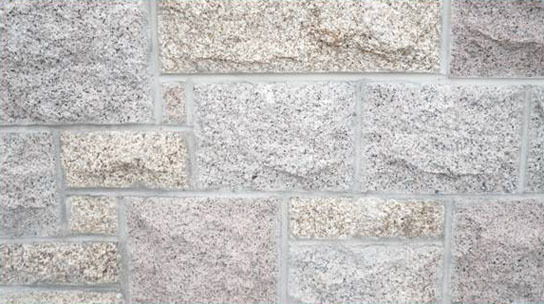 The quarry from which the original stone had come from had long since been abandoned, so we sourced a quarry in Portugal that could supply a very close match to the existing granite. 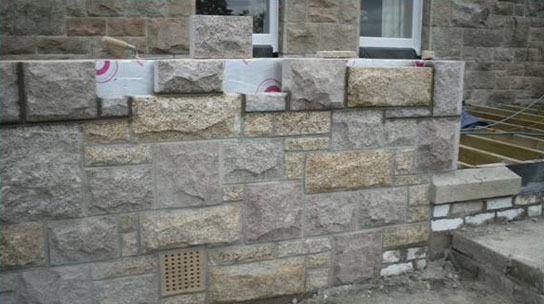 The stone arrived in a mixture of five different sizes and three different colours. 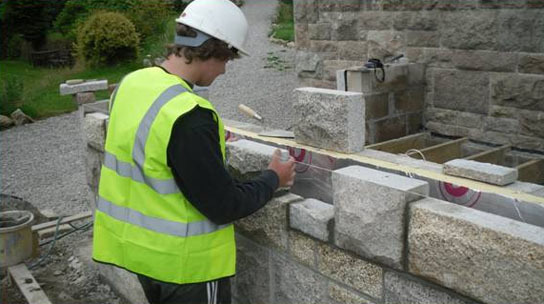 The sawn granite blocks then had to be shaped and pitched on site to match the profile of the stone and quions on the house, which is known as ‘Rock-faced’ ashlar, and this had to be done before we could start any building of the stonework. 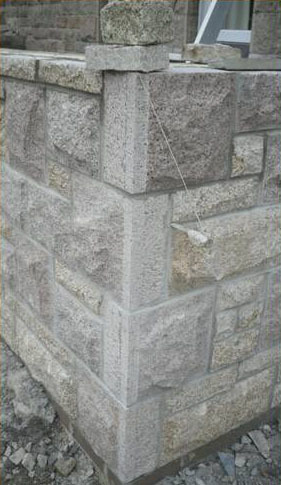 A tungsten tipped ‘pitcher’ was used to do this. 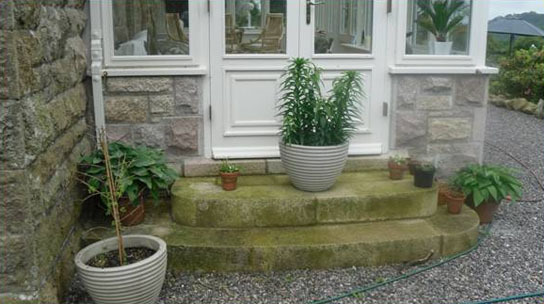 Some granite was purchased from a reclamation yard and we cut and dressed these with curved profiles to make two sets of steps leading up into the new conservatory. 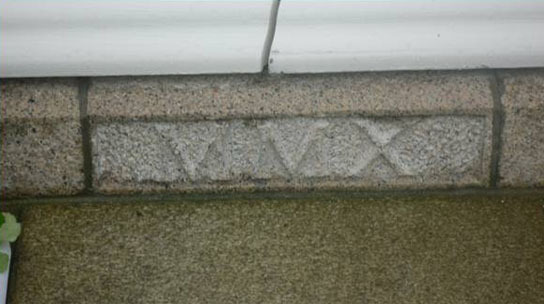 A date was cut into one of the door sills of the conservatory saying ‘MMX’ which is Roman numerals for ‘2010’. 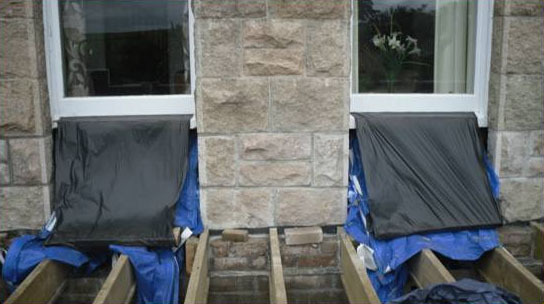 These doors sills were taken from the windows which were changed into door openings. 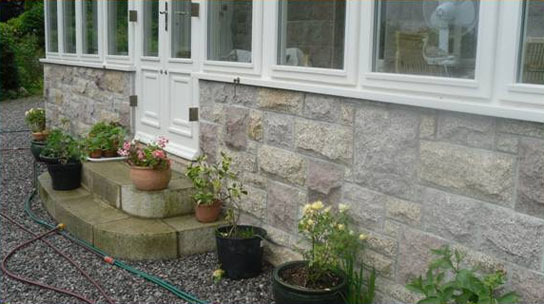 There was a stone built into the front elevation of the existing house and it was a different colour from any of the other granite around the house and also it was by far the largest. 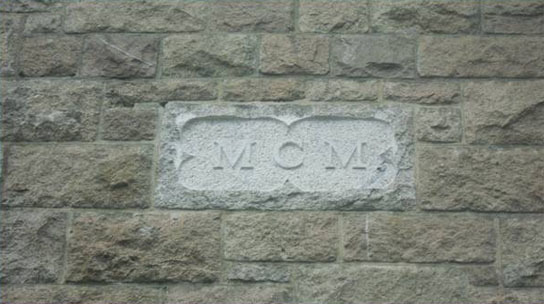 It seemed as if it was meant to of had something carved into it, but never had, so the client asked us to carve out the letters ‘MCM’ which is of course the Roman numerals for ‘1900’ the date the house was originally built. 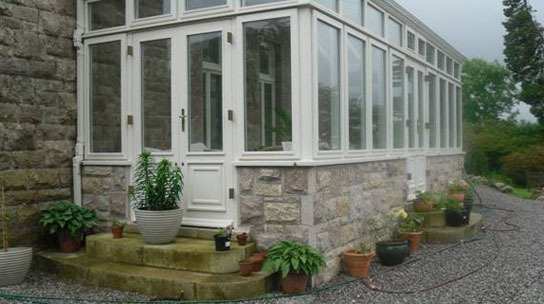 The finished conservatory matched in pretty well with the existing stonework.